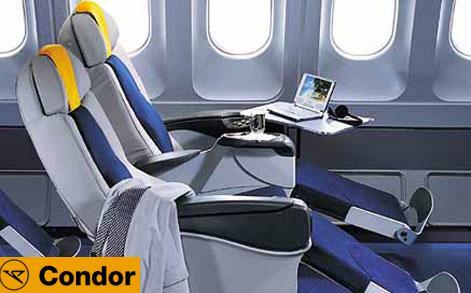 Condor has been a leading leisure airline for many years. Since 1956, we have been flying passengers to the most beautiful holiday destinations all over the world. Our employees put their hearts into every flight – this is what we call the Condor spirit. This lets our customers’ holiday start as soon as they board their flight and makes us Germany’s most popular airline. As the first leisure airline in Europe, we are proud to belong to a wider family of travel pioneers, the Thomas Cook Group. To express our mutual identity and establish closer ties with other like-minded companies, we are uniting under a common symbol: a sunny heart. We live by the values expressed by the heart – trusted, personal and innovative.The heart will follow our customers throughout their journey – from initial enquiry, aboard of our aircrafts, during their stay and all the way home. It will simplify their choices by offering flexibility, give assurance and provide a visual reminder that they are well looked after. The airline was established on 21 December 1955, as Deutsche Flugdienst GmbH, and started operations on 28 March 1956. A slump in the charter market in early 1960 led to its takeover by Lufthansa and the change of name to Condor Flugdienst on 25 October 1961. By the 1990s, it was a major player in the charter airline world, flying to many exotic destinations and some major cities worldwide. It was amalgamated with Südflug in August 1992. Domestic scheduled destinations: Berlin, Bremen, Cologne, Dresden, Düsseldorf, Frankfurt, Hamburg, Hanover, Leipzig/Halle, Munich, Paderborn and Stuttgart. International scheduled destinations: Agadir, Almería, Anchorage, Antalya, Bangkok, Banjul, Barbados, Cancún, Cayo Coco, Colombo, Dakar, Djerba, Fairbanks, Faro, Fort Myers, Fuerteventura, Funchal, Goa, Grenada, Havana, Holguín, Hurghada, Jerez de la Frontera, Kilimanjaro, La Romana, Lanzarote, Larnaca, Las Palmas, Mahé, Málaga, Malé, Malta, Mauritius, Mombasa, Montego Bay, Orlando, Palma de Mallorca, Paphos, Phuket, Porlamar, Puerto Plata, Punta Cana, Sal, San José, Santa Cruz de la Palma, Sharjah, Sharm el-Sheikh, St Lucia, Tenerife, Tobago, Valencia and Varadero. Condor flies with Boeing 767-300, Boeing 757-200, Boeing 757-300 and Airbus A320 aircraft. All of the airplanes are serviced in accordance with Lufthansa standards by Condor Cargo Technik, a 100-percent subsidiary of Lufthansa-Technik AG, guaranteeing you the highest degree of maintenance quality. The technical checks are conducted by experienced technicians in Frankfurt, Berlin and Hamburg. With an annual passenger transport performance of almost seven million passengers and – depending upon the season – with some 60 international destinations in Europe, Asia, Africa and America, Condor is one of the leading tourism airlines throughout the world. 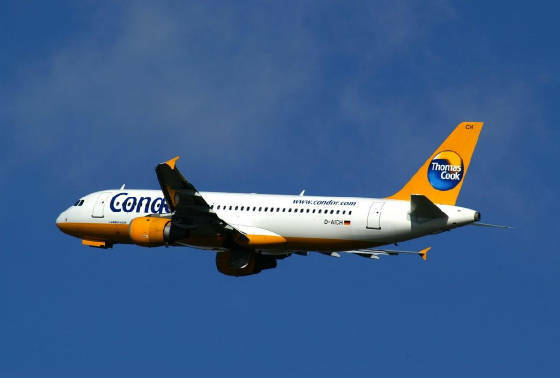 With over 17 departure airports in Germany, Condor’s service is readily available to you nationwide. Only information regarding Condor Airlines and Thomas Cook is on this page. 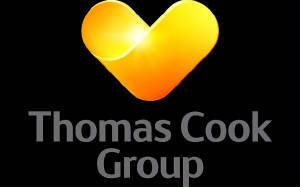 We are proud to have been selected as an Affililate of Condor Airlines and Thomas Cook Travel. Horizon Resources Group will from time to time enters into agreements and contracts to represent or present clients and affiliates who we have researched and find to be quality resources for our clients. These sources have impeccable credentials and we encourage you to visit with them either through these web pages by clicking on special icons above or by contacting us at Info@horizonresources.org. for assistance.